RALEIGH, NC–(Marketwire – Feb 25, 2013) – Recent results from research funded by the AKC Canine Health Foundation have the potential to significantly impact recommendations for spaying and neutering dogs in the United States. Most dogs in the United States are spayed or neutered, and for years the procedures have been completed prior to maturity. The study, published in the prominent, open access journal PLOS One, suggests that veterinarians should be more cautious about the age at which they spay and neuter in order to protect the overall health of dogs. 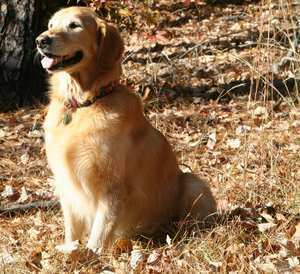 The publication “Neutering Dogs: Effects on Joint Disorders and Cancers in Golden Retrievers” is available online through the open access journal release PLOS One. The work was funded by the AKC Canine Health Foundation with sponsorship from the Golden Retriever Foundation, Schooley’s Mountain Kennel Club, the Siberian Husky Club of America, and the Vizsla Club of America Welfare Foundation. The AKC Canine Health Foundation (CHF) is a non-profit organization dedicated to helping dogs live longer, healthier lives by funding research that helps prevent, treat and cure canine disease. Established in 1995, CHF’s mission is to advance the health of all dogs and their owners by funding sound scientific research and supporting the dissemination of canine health information. Through the generous support of the American Kennel Club, Nestlê Purina PetCare, Zoetis, dog clubs and dog owners worldwide, CHF has dedicated more than $35 million to canine health research projects and education programs. Visit CHF online at www.akcchf.org for more information. This article, Health Implications in Early Spay and Neuter in Dogs, is syndicated from MarketWire and is posted here with permission. Please visit my web site at Pet Portraits by Deena and see the many portraits I have painted. Dogs, cats, horsesâ€¦what’s next? 10% of proceeds goes to support CorgiAid!